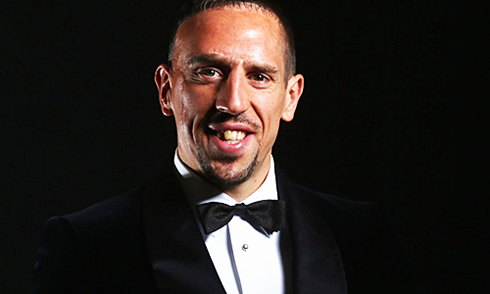 ﻿ Ribery: "I should have won the FIFA Ballon d'Or, not Cristiano Ronaldo"
23.01.2014 » Ribery: "I should have won the FIFA Ballon d'Or, not Ronaldo"
After Cristiano Ronaldo's coronation last week as the best player in the World of 2013, many have been the voices that raised to congratulate the Real Madrid forward. 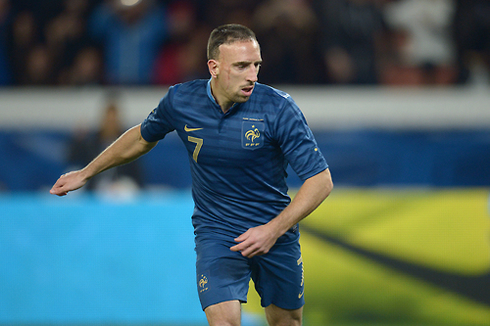 That has not been the case of Bayern Munich's winger, Franck Ribery, who keeps claiming that he would have been a more worthy winner of the FIFA Ballon d'Or. Bayern Munich did make History last season, becoming the first German club to win a treble and crushing an all mighty Barcelona side in the UEFA Champions League semi-finals with a 7-0 win on aggregate. 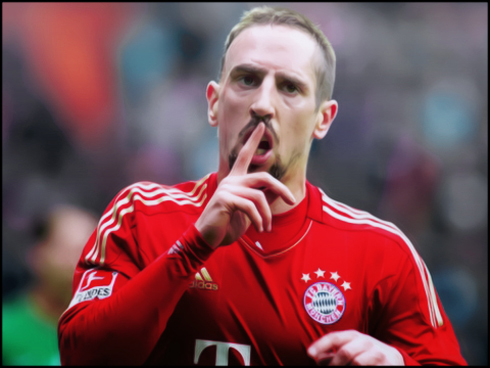 As many other top clubs in Europe, the Bavarian team counts with numerous stars in their roster, one of those being undeniably Franck Ribery. 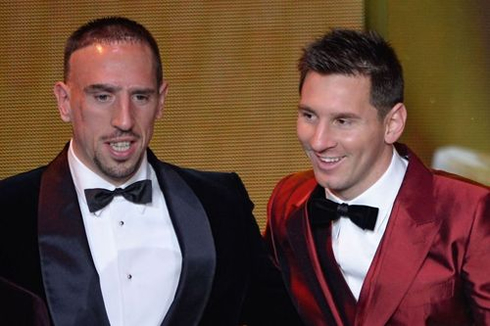 Ribery doesn't seem to be accepting in good grace the fact that most people voting on the FIFA Ballon d'Or have chosen Ronaldo and Messi above him. In a talk with a German media called "Abendzeitung Munchen", the Bayern Munich forward insisted on the fact that Ronaldo didn't win any silveware for Real Madrid last year and that he doesn't understand why so many players from Bayern Munich and Borussia Dortmund didn't even make it to FIFA's best 11 squad of 2013. 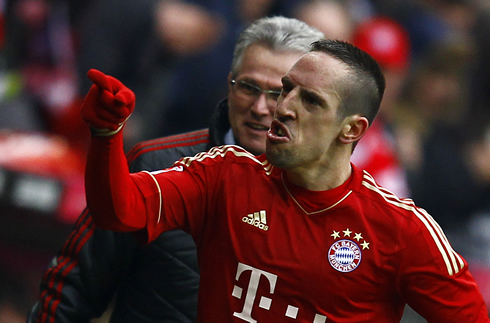 Ribery: "I won everything I could with Bayern Munich and also individually. 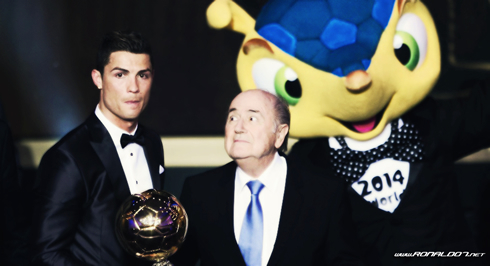 Cristiano Ronaldo in the other hand, didn't win anything! I'm not sad, but it hurts a bit. I deserved to win the FIFA Ballon d'Or! We all saw it coming though, because the voting deadline was extended for another two weeks in November and this had never happened before. It had nothing to do with football, it was pure politics." Franck Ribery: "To see so many Bayern Munich and Borussia Dortmund players missing the FIFA/FIFPro World XI team was also outrageous. It's just crazy! Muller deserved to be there, just like Alaba, Schweinsteiger and Robben. We won 5 titles and we made History. A few others who played for Borussia Dortmund last season like Mario Gotze and Robert Lewandowski also deserved to be selected into the best eleven team. 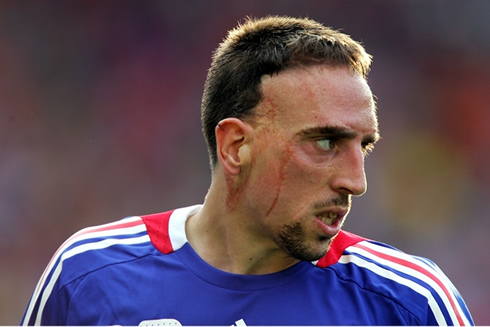 This is impossible to happen...", commented the 30-year old France international. Cristiano Ronaldo next game for Real Madrid will be against Granada, next Saturday afternoon, for La Liga (January 25, 2014). You can watch Juventus live stream, Real Madrid vs Granada, Levante vs Barcelona live, Manchester United vs Sunderland and Arsenal vs Coventry, all matches provided from our soccer live section.